A dramatic statement piece, the Seahorse Collection by Waterford takes inspiration from the logo of the Waterford company and the crest of the historical city of Waterford, where Ireland's premiere fine crystal is produced. 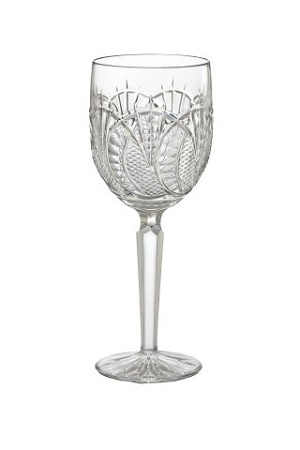 This goblet combines the intricate detailing of the Seahorse pattern with the comforting weight and stability of Waterford's hand-crafted, fine crystal. The seahorse collection has been Archived making this piece great for any collector. This elegant goblet holds 9oz. To preserve the clairty of your crystal we recommened handwashing. Handcrafted by Waterfords great craftsman.